TransFamilies: Celebrating our gender diverse children of every age: 10 Trans Men and Women You Never Learned About in History Class Plus Sarah McBride Makes History! 10 Trans Men and Women You Never Learned About in History Class Plus Sarah McBride Makes History! 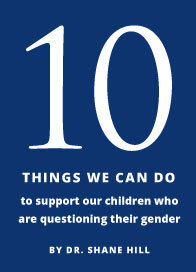 One way to help our kids feel proud of who they are, and to help us as parents feel proud for them is to learn about other trans folk both current and historical. 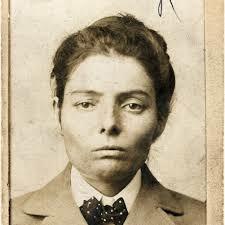 Here's an article about 5 transmen from history that most of us didn't know about. 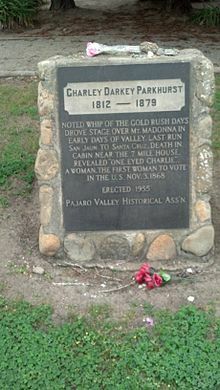 Of particular interest to us in Santa Cruz county is #4, Charley Parkhurst. I was shocked and surprised to learn this! Does anyone know where the plaque in the article is located? It might be a fun field trip with your trans son to go on a field trip and discover this! 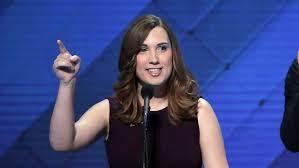 And finally here's a video from yesterday of Sarah McBride, a trans woman making history as she became the first trans person ever to address a national political presidential convention. In addition to the video of her less then 4 min speach, this article outlines more of her bio.